This lovely prong set gemstone pendant necklace is fabulous, and it looks great in both gold and platinum! 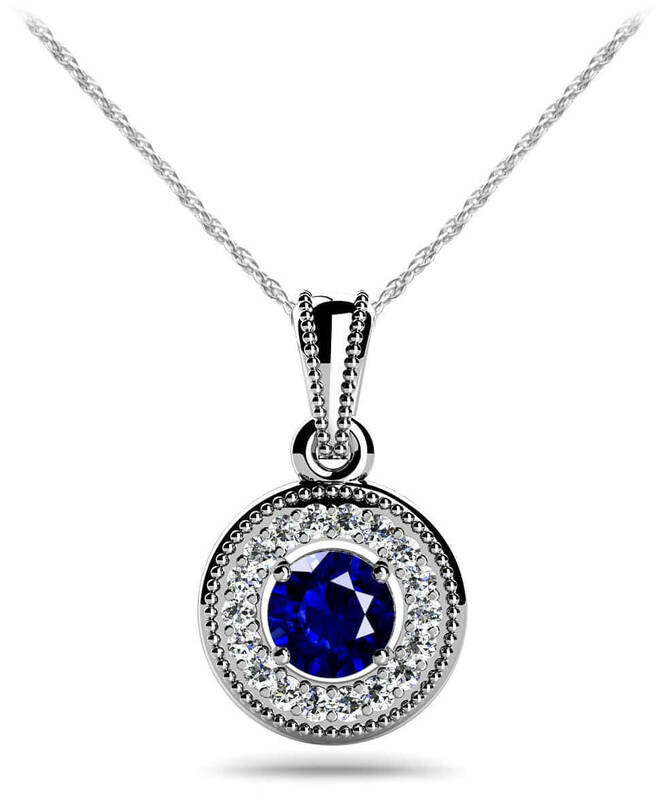 Create your perfect pendant by selecting your favorite metal type, gemstone you want featured in the center and the diamonds that will surround it. 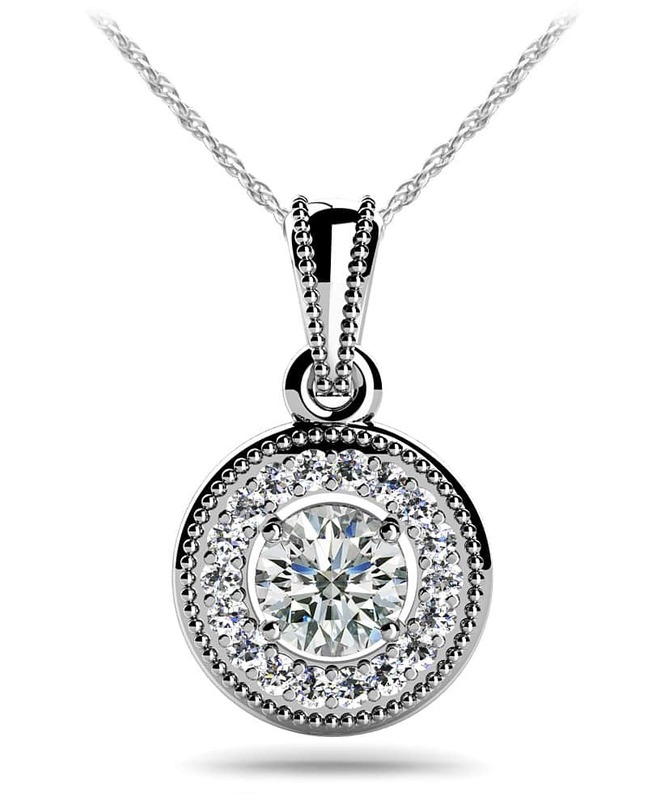 Special details along the edge of the diamonds add more interest and sparkle in this truly unique pendant. 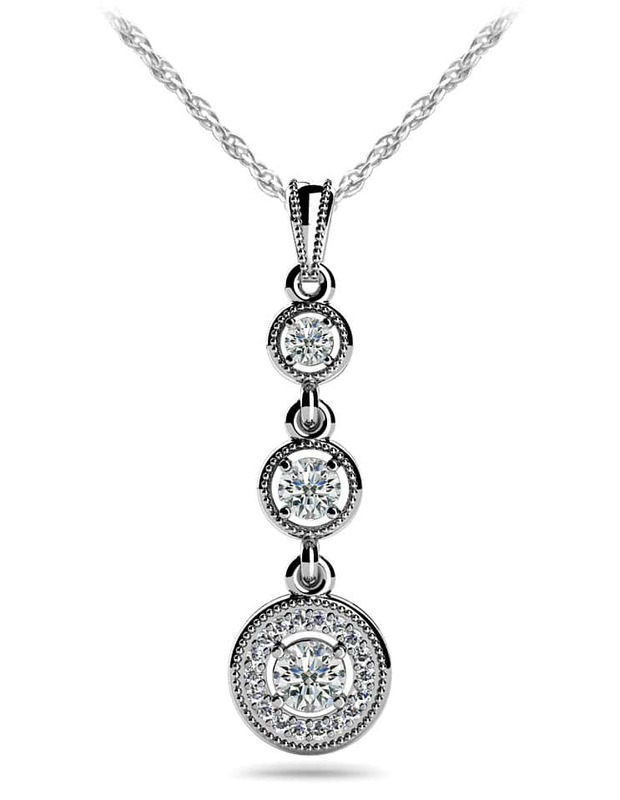 This piece gleams & shines from every angle! The total diamond weight is .64 carats, with the center stone, which appears to ‘float’ in the middle, weighing at a significant half a carat! Stone Carat Weight: 18X0.008 ct., 1X0.500 ct.